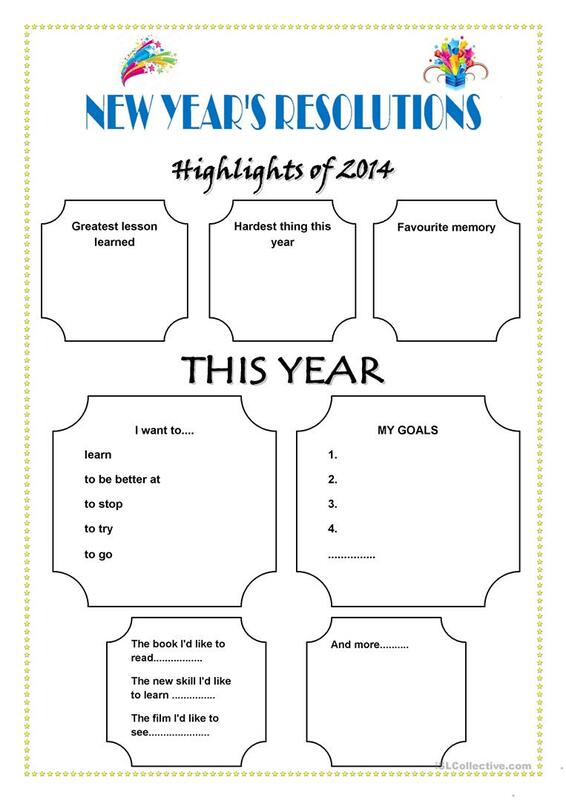 An enjoyable organizer that could be used as a brainstorming tool to get students to think about their new year's resolutions. It is a word document so you can change the year. This downloadable worksheet is a great resource for high school students and adults at Pre-intermediate (A2) level. It is valuable for revising Future simple tense expressed with WILL in English, and is excellent for improving your pupils' Speaking and Writing skills. aslanysm is from/lives in Turkey and has been a member of iSLCollective since 2011-10-14 14:11:22. aslanysm last logged in on 2015-05-20 08:38:13, and has shared 5 resources on iSLCollective so far.